Everyone knows that Michigan’s firearm deer season was cold. Snow piled up all across the state, and temperatures were brutal. That frigid arctic start, combined with a late corn harvest, kept many hunters at home. Those factors, combined with a smaller deer herd statewide, resulted in fewer deer being killed, according to state wildlife officials. “Most of us concluded that the opener was a little slower than expected for a Saturday opener, “said Steve Chadwick, the Michigan Department of Natural Resources wildlife supervisor for Southwest Michigan. “The weather was a big factor. It was pretty rough. But that would hold for much of the two-week season that closed Nov. 30. Fewer hunters ventured out or bought hunting licenses and kill tags. Preliminary estimates indicate the U.P. firearm kill was down 30 to 40 percent from 2013. Some areas had bigger declines, Rudolph said. The southern Michigan deer harvest was down about 5 percent, and the northern Lower Peninsula harvest was down by as much as 10 percent, Rudolph said. State wildlife officials develop their preliminary assessments using a combination of factors: the number of vehicles parked at hunting areas, the number of deer brought to check stations and conversations with deer processors and conservation officers. Those conclusions get refined, once hunter survey data is compiled.
. The final results are reported after the first of the year. “Our (preliminary) numbers were below normal, and it could be the cold and the corn,” said Katie Keen, a DNR wildlife technician in the DNR’s Cadillac office. Those who did stop brought in bucks that were bigger than usual. Antler point restrictions (APRs) were implemented in northwest Michigan counties two years ago. They require hunters to shoot older deer and prohibit shooting younger ones. APRs are controversial. Some hunters want to shoot any buck. Others believe restraint helps create an older, healthier deer herd. But that wasn’t the case in the Upper Peninsula. Terry Minzey, the DNR’s Upper Peninsula wildlife supervisor, said broad swaths of landscape were buried in deep snow, compounding the effects of last year’s very severe winter. The snow pack ran from 18 inches in the eastern U.P. to 40 inches west of Ishpeming, and as much as 100 inches on the far western end. Minzey estimated the U.P. buck harvest is down by 55 percent from 2013, and 70 percent below the 10-year average. Far fewer yearling deer showed up in the U.P. harvest. They made up only 16 percent, where 40 percent is typical. Minzey estimated before the season that the U.P. 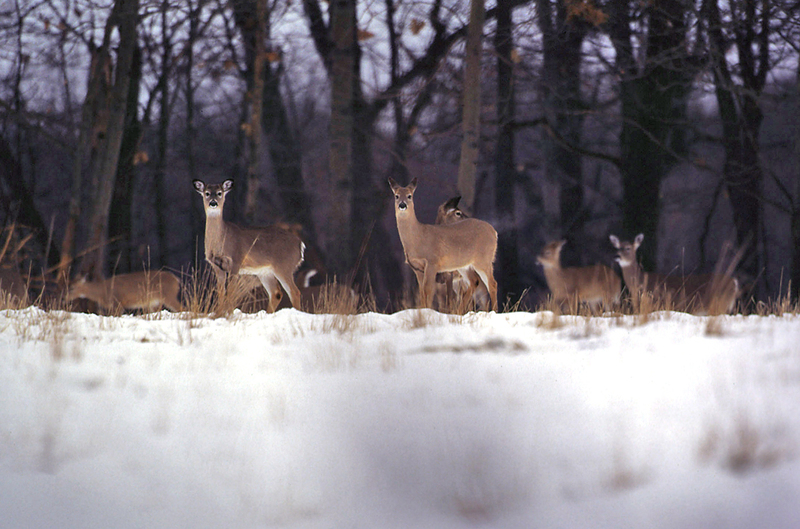 deer population was down by 35 percent going into the season, because of last winter. He said he expects things will be worse in 2015. This entry was posted in Uncategorized and tagged Conservation, Deer, DNR, Hunting, Michigan, Michigan Department of Natural Resources, Wildlife. Bookmark the permalink. I am sure the number of hunters was down at least 6.6%, but I do not believe it was due to weather. It is due to DNR Greed and the APR regulations. We need to get good conservation people in the DNR . You will continue to see a decline in licenses until this political problem is corrected. 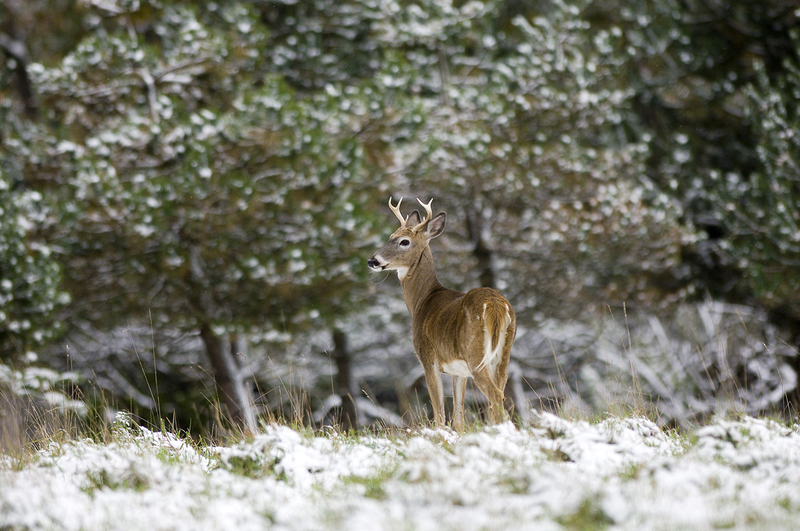 Mother nature is tough enough, but when conditions improve the deer hunting cannot improve when the hunting property is surrounded by trespassers and violators.